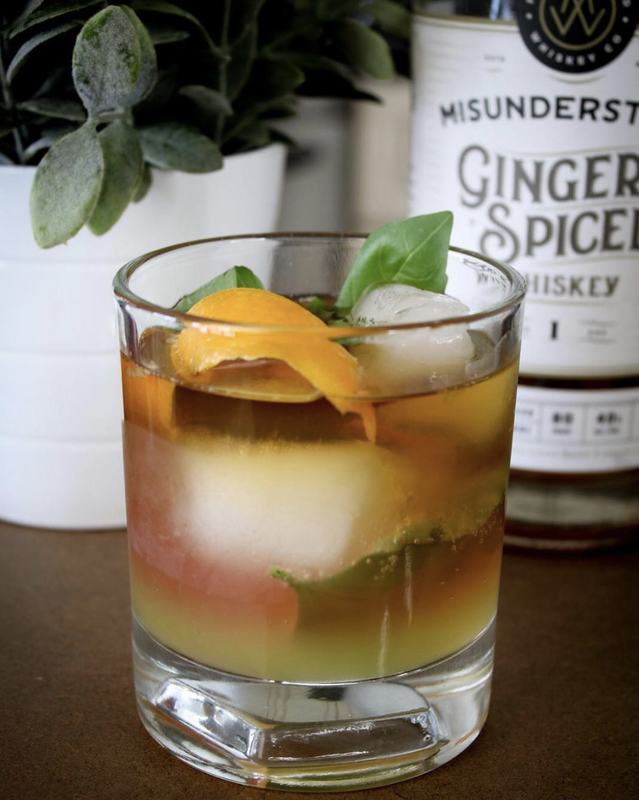 Old Fashioned Basil Spritzer — Misunderstood Whiskey Co. Combine basil, simple syrup and citrus mix in a mixing glass. Muddle together. Add ice & whiskey - stir about 30 seconds with bar spoon. Strain into an old fashioned glass over fresh ice. Top with seltzer.